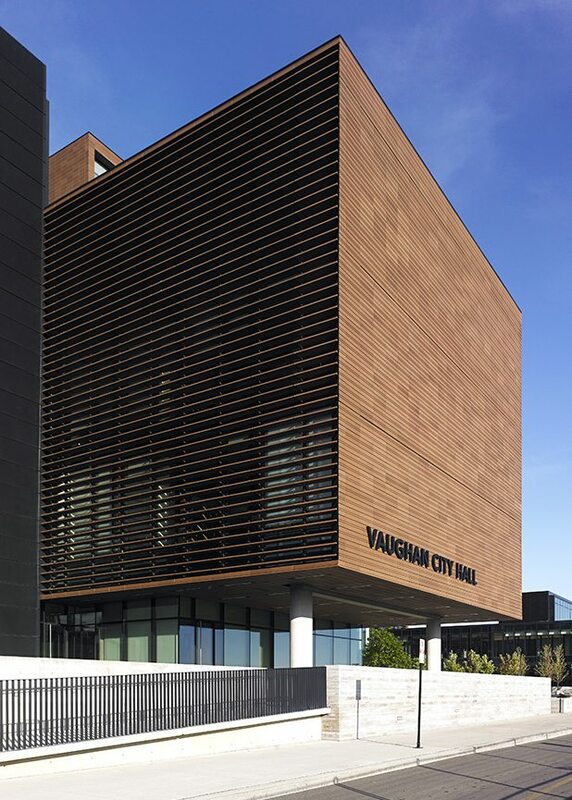 In 2012, Vaughan City Hall was awarded the Ontario Association of Architects Award of Excellence. 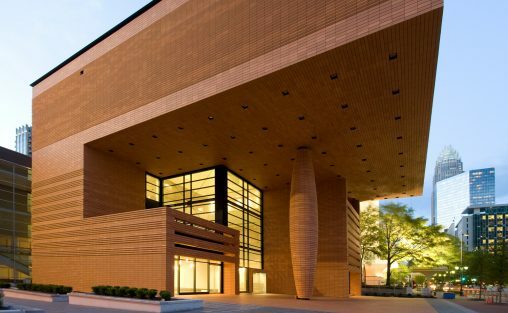 This is the province’s highest architectural honor and candidates are judged on creativity, context and sustainability. 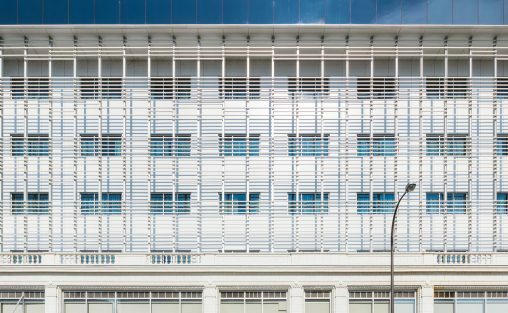 Various custom elements were required, including 5 new profiles, a new through body color and glaze finish, and specialty miter cuts for knife-point conditions at the corners where curtainwall and terra cotta louvers met panels. 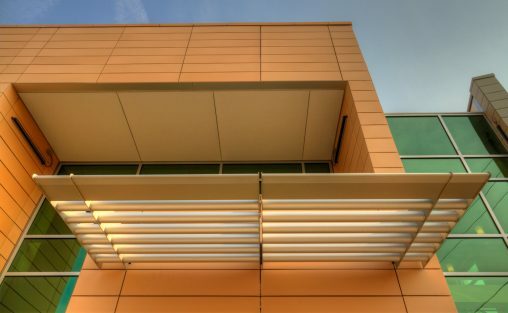 The custom profiles and natural range of the body bring life and momentum to the building. 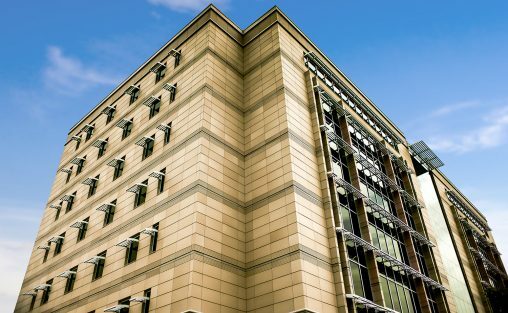 In all Boston Valley provided 26,000 linear feet of louvers and 41,000 square feet of interior and exterior panels, soffit, fascia and sills. 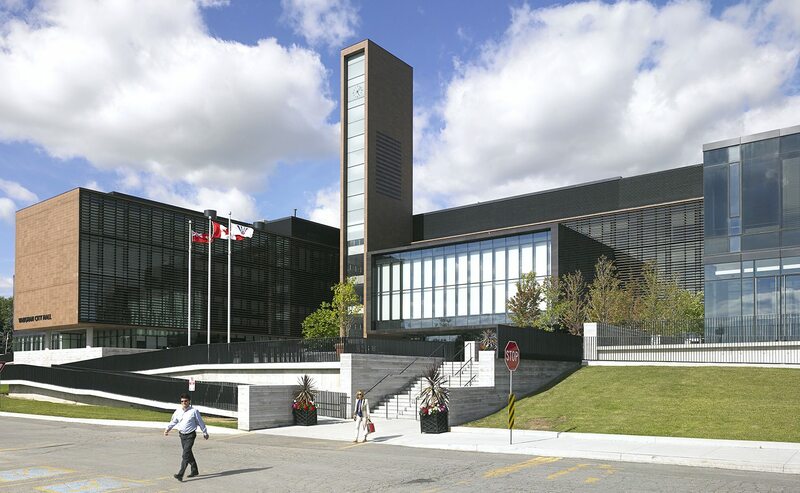 KPMB utilized the TerraClad™ system on this expansive city hall located in Vaughan, Ontario, just north of Toronto. 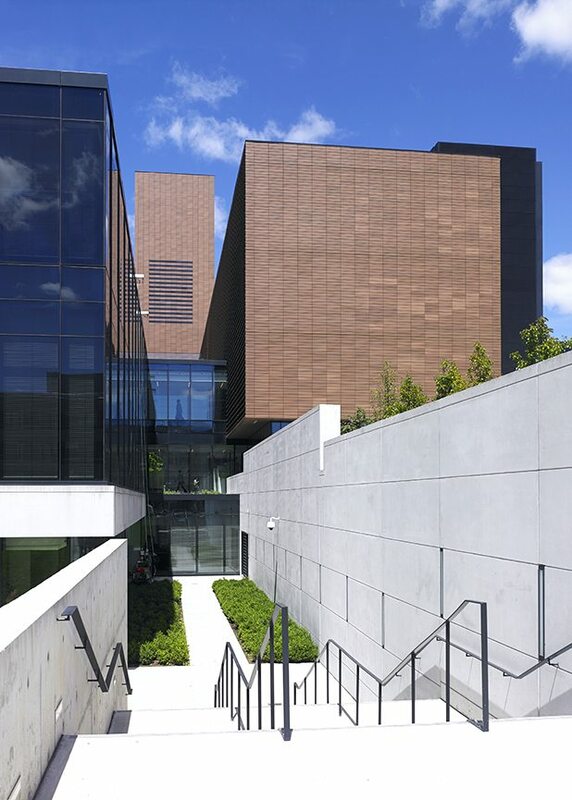 With our proximity to the project site, Boston Valley was easily able to take on this international project and provide the product and service necessary to see the design through to completion.